Roses are red, violets are blue, Valentine’s Day is almost here, it’s time to shower your bae with these gorgeous blossoms. With this post, you will know the meaning behind the blooms. This will likely inform your choices or heighten your appreciation of your sweet smelling gift! Without further ado, let’s jump straight to the 10 most popular Valentinte’s Day flowers and its meaning. Flower meaning: Faith, wisdom, and courage. 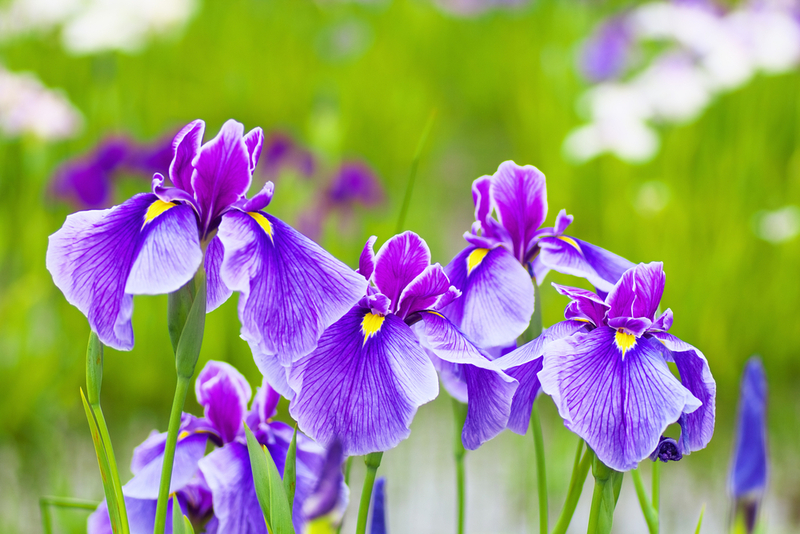 The iris flowers have always been associated with the ancient greek mythology. In Greek, there was a goddess named Iris who epitomized the rainbow (the greek word for Iris). The goddess Iris acted as the messenger between heaven and earth by traveling along the rainbows. The three petals of Iris represent faith, wisdom, and courage. Different flower colors have further meanings to the pretty blooms. For example, purple iris represents wisdom and compliments; blue iris speaks of hope and faith; yellow iris means passion; white iris symbolizes ideal and purity. 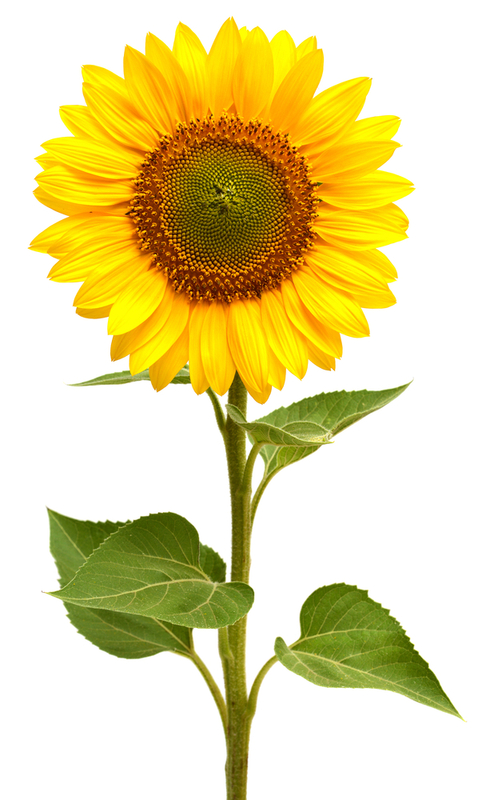 The vibrant and cheerful sun gem – sunflower. It might not be the rarest flower, but it conveys a beautiful symbol of power for many people. While there are many interpretations of its flower meaning in different cultures, there are some common ones that have been shared across the world. For couples in love, sunflowers symbolize loyalty and strong connections between two people, as represented by the firm and upright stem. If loyalty is the message you wish to convey to your sweetheart, send one to him/her now! Wildflower is a flower that grows in the wild. There are over 5,000 species of wildflowers and more than 20% of wildflowers belong to the sunflower family. Perhaps you have already heard of the popular wildflowers such as forget-me-not, daisies, dandelion, Viper’s bugloss, primrose etc. Historically, wildflowers have been a popular Valentine’s Day flower in a few decades ago. When adoration is the message you wish to convey to your loved one, wildflowers could be a great choice for Valentine’s day! Flower meaning: Reminder of an old love, First love. The lilac flower carries a wonderful legend of love that dates back to the ancient Greek mythology. In Greek, there was a god of forests and fields named Pan who was crazily in love with a Nymph called Syringa. One day, Pan was following Syringa through a forest. In order to escape from Pan’s pursuing, Syringa turned herself into a lilac shrub to disguise herself. Pan could not find Syringa in the forest, but he did find the shrub. He saw the lilac shrub consists of hollow reeds, so he cut the reeds and invented the first pan pipe. 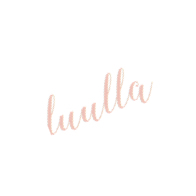 The meaning of Lilac changes throughout different cultures and time periods. 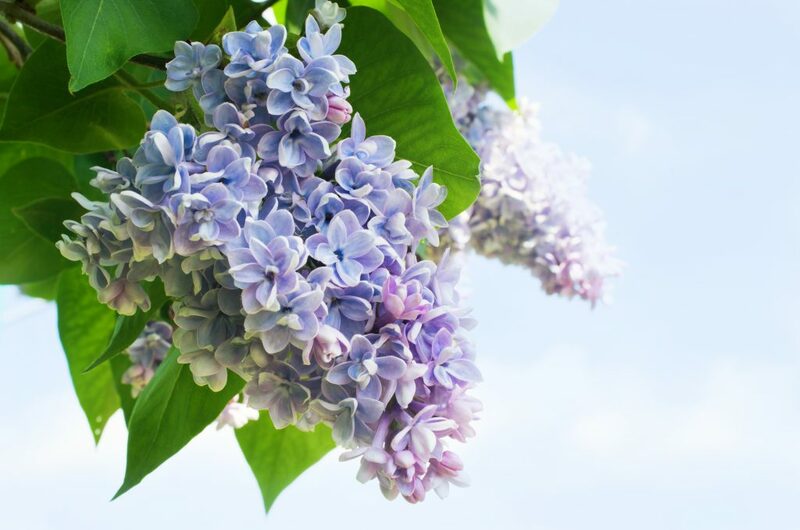 For example, during the Victorian Age, Lilac symbolizes the reminder of an old love, which is why widows were often seen wearing lilacs during that period of time. Besides, different Lilac colors have different symbolism. For instance, white lilacs symbolize purity and innocence; violet lilacs symbolize spirituality; blue lilacs symbolize happiness and tranquility; magenta lilacs symbolize love and passion; light purple lilacs symbolize the first love. 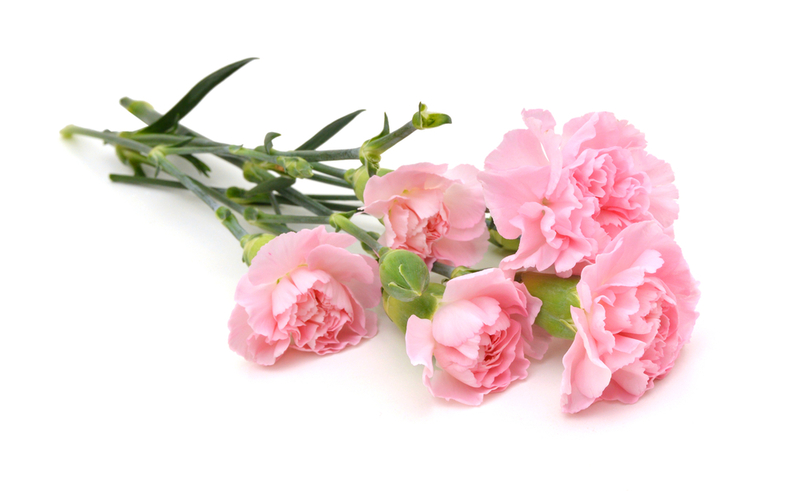 Carnation flowers have a deep rooted history that dates back more than 2,000 years. Hence, it’s no surprise that carnations carry an extensive range of symbolism, mythology, and even debate. Some suggested that the name “carnation” comes from the word “corone” (flower garlands) or “coronation” because carnations were widely used in Greek ceremonial crowns. Others claimed that the word “carnation” was derived from the Latin “carnis” (flesh) referring to the incarnation of God-made flesh. Despite the variation of meanings throughout different cultures and time period, in general, carnation flowers express love, fascination, and distinction. Besides, different colors carry a unique symbolization, for example, white carnation speaks of pure love and good luck; light red represents admiration; dark red symbolizes deep love and affection; purple carnation conveys capriciousness; pink implies the greatest significance. 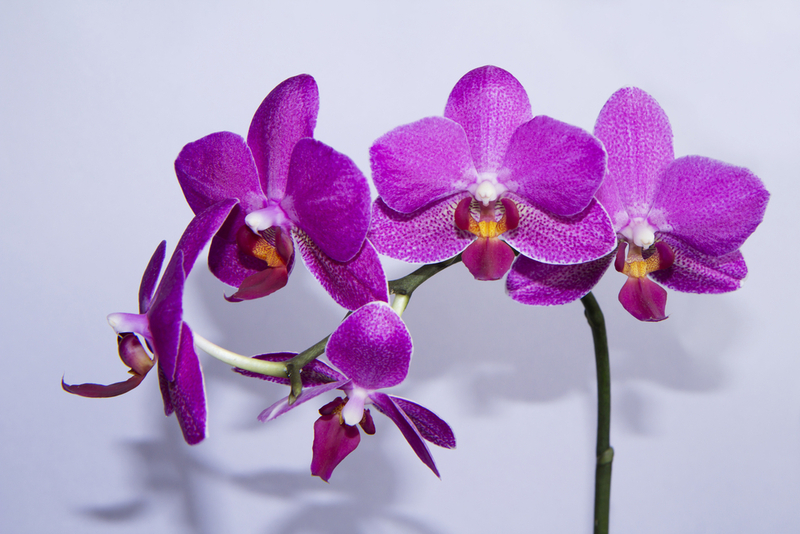 The word “orchid” was derived from the Greek word “orchis” (testicle) because of their fleshy underground tubers that were thought to resemble testicles. Hence, the ancient Greeks automatically associate orchids as a symbol of virility at that time. In fact, they believed that if the father of their unborn infant ate large tuberous roots, the mother would give birth to a boy. Whilst, if the mother of their unborn infant ate small orchid tubers, the baby would be a girl. Also, the Victorians held orchids in an extremely high regard and they did collect and showcase them as a symbolism of luxury and exquisite taste. 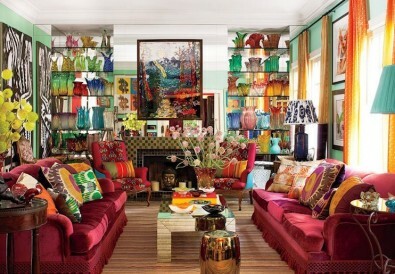 While the general meaning of orchids symbolizes love and beauty, every color carries a unique meaning. For example, blue represents rarity; red represents passion, strength, and courage; pink represents grace, joy, and femininity; white represents innocence and purity; purple symbolizes admiration, respect, dignity, and royalty; yellow represents friendship, joy and new starts; orange speaks of enthusiasm, boldness, and pride; green implies good fortune, longevity, and blessings. Lily flowers are often associated with the wonderful Greek mythology story of Hera, Zeus, and Hercules. According to the mythology, Zeus wanted his baby, Hercules to drink the milk of Hera (Zeus’ wife). Because Hercules was born of another woman, Hera refused. One night, Zeus brought Hercules into Hera’s room to drink her milk while she was sleeping. Hera suddenly awoke and pushed Hercules away, the drops of milk spilled on the ground and grew into lilies. Hence, the ancient Greeks view lilies as a symbolism of rebirth and motherhood. Meanwhile, in China, lilies are commonly used in weddings because they symbolize 100 years of love and good luck. Assyrians and Babylonians associated lilies with the goddess of fertility, Ishtar, whilst, Christians associated lilies with the Virgin Mary. 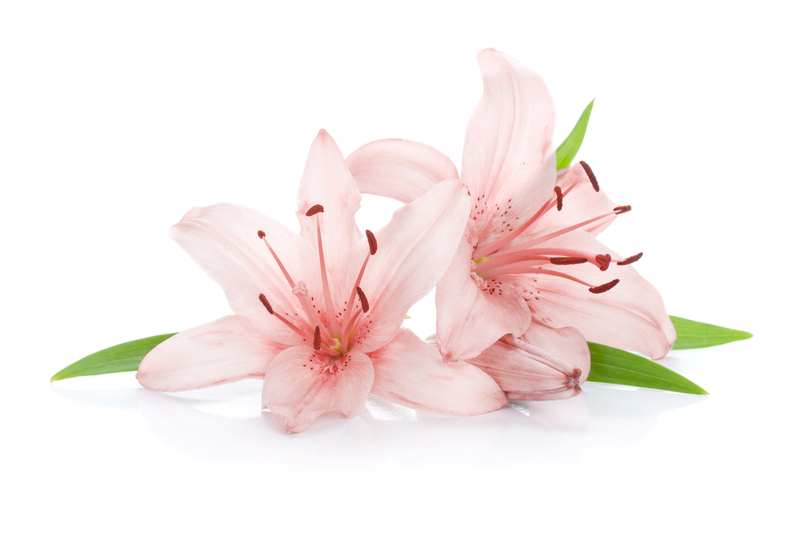 There are five types of lilies and each symbolizes different meaning. For instance, white represents purity and virtue; pink (stargazer) symbolizes prosperity and abundance; red conveys passion; orange implies confidence, pride, and wealth; yellow means gratefulness and desire for enjoyment. In general, Tulip flowers express perfect love. The meaning of perfect love is originated from the Turkish and Persian wonderful mythology of love between Farhad and Shirin. According to the tale, Farhad was a prince and he was in love with a beautiful girl named Shirin. One day, Shirin was murdered and Farhad felt an immense heartache when he learns this. Driven to despair, he rides his horse off a cliff. The drops of blood touched the ground and grew into red tulips, which symbolizes the meaning of perfect love. In the story, red tulips represent the meaning of perfect love and everlasting love, but what about the symbolism of other tulip colors? 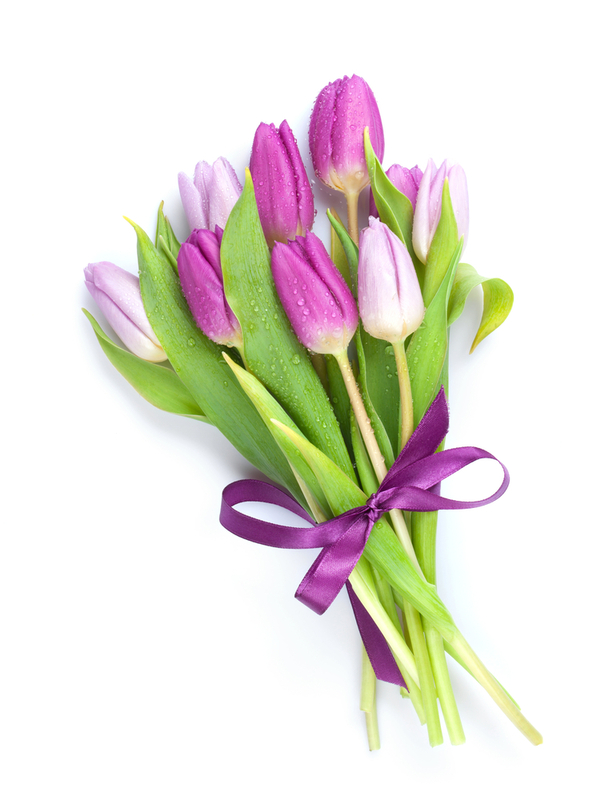 Here are the different meanings of each non-red tulips: Pink symbolizes happiness and confidence; purple represents royalty; yellow symbolizes cheerful thoughts; white implies forgiveness. 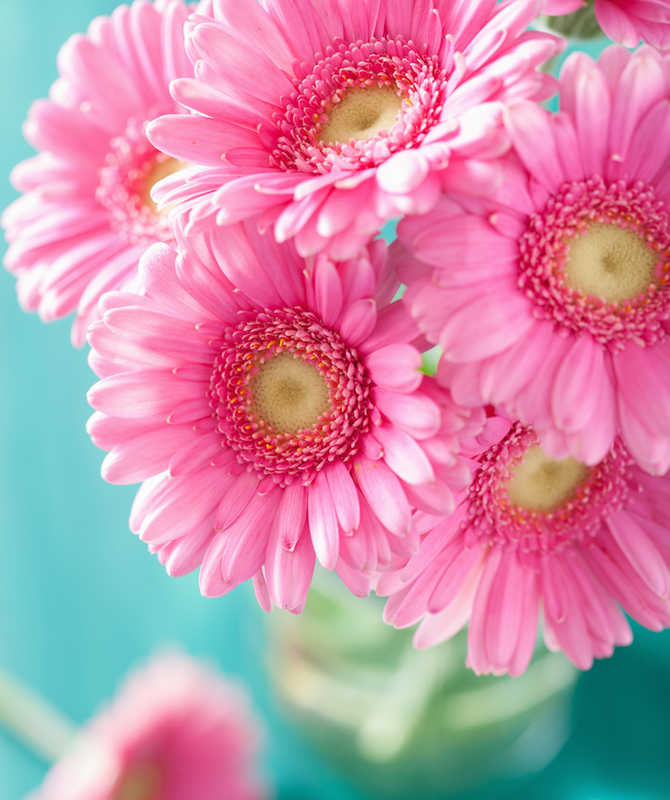 Daisies are composite flowers, which means they are actually a combination of two flowers that combined into one. The inner section is called disc floret while the outer petal section is called ray floret. Because of the perfect combination between two flowers that blend together so well, many people view daisies as a symbolism of true love. Besides, the symbolism of innocence and purity is originated from the old Celtic legend. According to the myth, God will sprinkle daisies over the earth whenver an infant died. This is to cheer the parents up and signifies the meaning of innocence and purity of the infant. 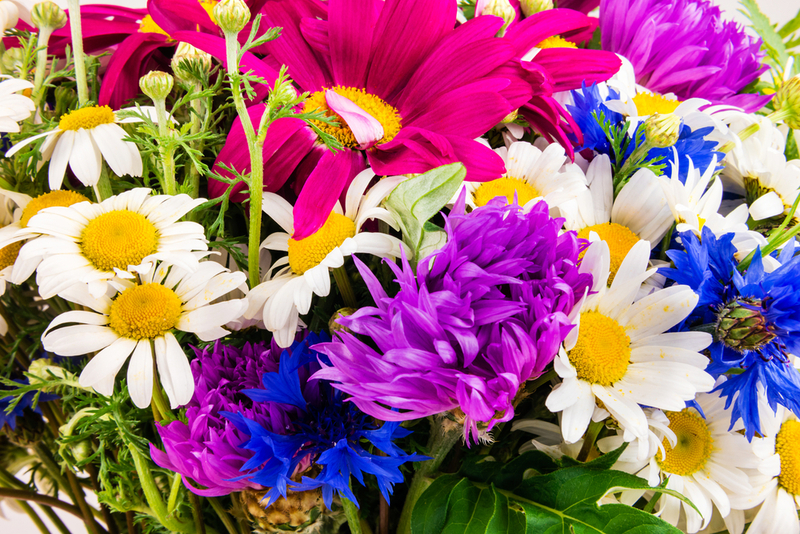 The daisies were also referred to as “day’s eye” in old English. As cliché as we know, roses are the most popular flowers given on Valentine’s Day of all flowers. 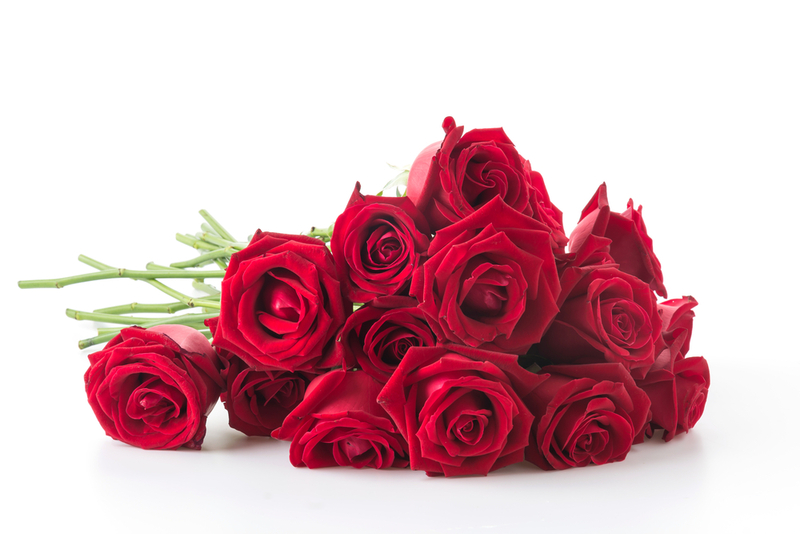 In ancient Greece, roses are often associated with the Greek goddess of love named Aphrodite. She was often depicted adorned with roses around her head, feet, and neck. When Aphrodite’s slain lover Adonis died, a rose bush grew within the pool of blood spilled from Adonis’ body. That’s it for today’s Valentine’s Day topic and I hope you guys find it informative and useful! Now that you’ve understand the meaning of flowers, be sure to send one that symbolizes the love between you and your loved one this coming V-day! Out of all these flowers, which one is your favourite flower? Share your thoughts with us because we’d love to hear from you. Stay tuned for more awesome topics from us and don’t forget to be awesome!